The Bronco 16 may be small, but it packs a big punch. 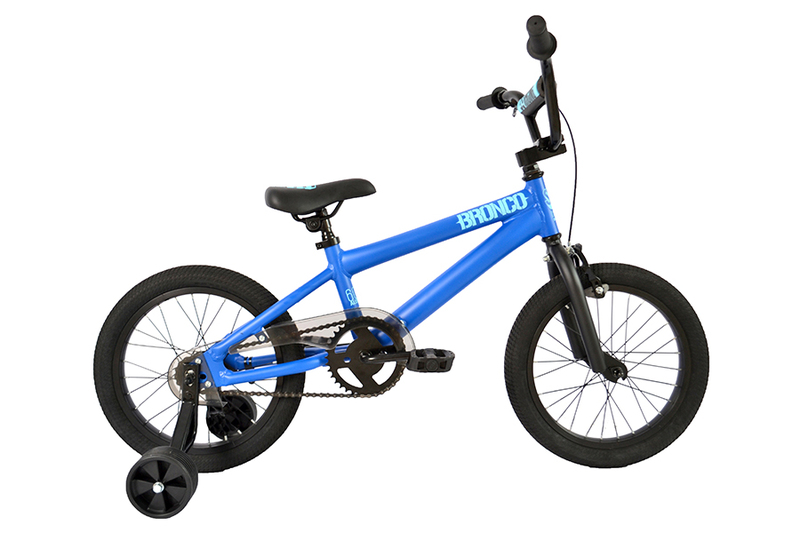 Built with a light-weight alloy frame, this bike is ready to zip around the playground. 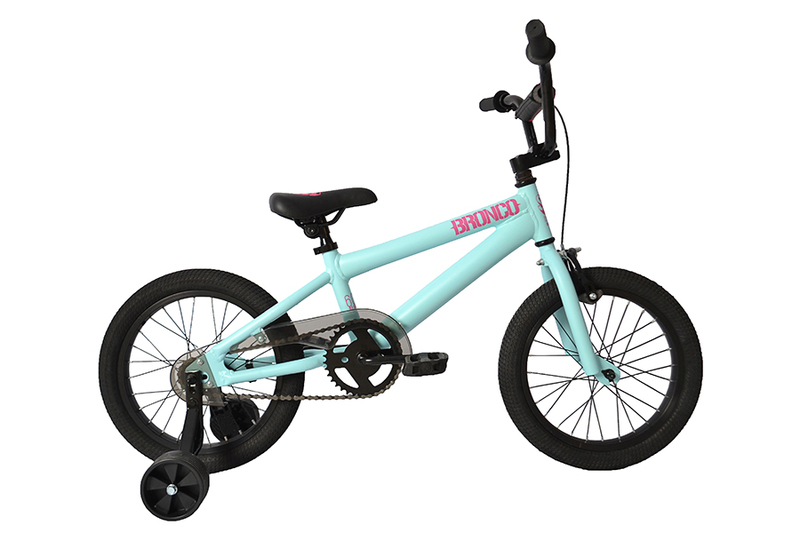 The training wheels and coaster brake will be sure to build confidence when going out on new adventures. HANDLEBAR Steel, 20" X 5.5"